Would you like to feel more confident to let your dog off the lead, safe in the knowledge that they will return when called? Do you struggle to call your dog back to you? Do they get easily distracted and run off to meet other people and dogs? Would you like to further develop your recall training and progress to working around more distractions? Then our Reliable Recall workshop is for you! 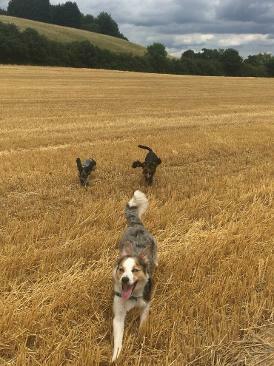 A reliable recall is a vital skill for all dogs and owners. 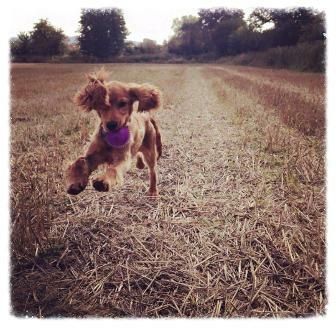 It allows your dog the opportunity to run free and explore with you being relaxed and confident they will return. It also keeps them safe when off lead and ensures they can avoid dangerous situations. We'll teach you some fun recall games that you can teach your dog, not only to come when called, but also to stay by you when they do. We'll explore the science behind why our dogs may struggle to come when called and how to identify and work through situations where your dog seems to have 'selective hearing'. We will also tailor make a 'cool down' routine specifically designed for you and your dog. This will include games and activities which will change your dogs state of mind being calm and relaxed. For dogs who avoid you at the end of the walk, this will build a positive association and put a stop to them running off. We'll also explore how to use whistles, and how markers such as a clicker can be used to speed up your training. 2 hours including a short refreshment break. Bradley Green Village Hall. Click here for further location info. Weather permitting, some exercises will be conducted outdoors. Complete and submit the form below. You will receive an invoice via email to pay and confirm your place. A confirmation with further information for your course will be sent once payment is made.